With the aim to take care of the healthcare needs of the community in Florida, The Center for Diagnostic Imaging Miami has introduced new machines, equipment, and techniques to offer better diagnostic medical imaging services. freePRnow.com, 9/14/2018 - North Miami Beach, FL, (September 14, 2018): Highly renowned and reliable, The Center for Diagnostic Imaging Miami leads in the imaging industry of Florida, and to better its operation, the team has recently improved its techniques through the introduction of new machines, tools, and equipment. Since its inception back in 1996, CDI Miami has been striving to offer the most advanced and updated range of diagnostic medical imaging services, to suit the widest and ever-exceeding healthcare needs and preferences of the community. Committed to offering the best digital imaging and patient care for the people, this diagnostic center aims to produce accurate reports of the various screenings and tests conducted at the labs. The mission to flatter the patients excellent and efficient services have pushed CDI Miami to utilize the most advanced technology and techniques available in this industry. Thus, after a lot of discussions, research and meetings, they have finally invested in cutting-edge and modern tools and equipment. Being chosen every day by referring physicians, this reputed and reliable diagnostic medical imaging Miami center made it a point to add the new machines and boast of unmatched prowess. Due to the addition of this new expertise, today this venture is proud to offer the Total Body Scan as part of the preventive services. Not only this, as a top-notch imaging center Miami, CDI Miami is one of the enterprises that have the only facility in South Florida to offer 3D tomosynthesis! The wish to continuously expand the diagnostic services and update the technology to meet the urgent and critical needs of the patients’ and exceed their expectations, has been the sole reason behind the introduction of new machinery. 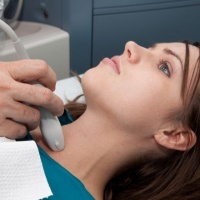 Only the best tools and techniques are used for all types of tests and screenings by the board certified team of radiologists, physicians, and skilled technicians. Be it the 3D mammogram screening, Mri scan Miami,X Ray services, CT scan, or Pet scan Miami, each and every imaging facility is conducted using re-equipped proficiency and utmost care. Apart from these facilities, The Center for Diagnostic Imaging Miami also assures the patients of accurate and timely reports through super friendly and flexible staffs. All the doubts and queries are taken care of by the customer care executives, and bookings for appointments is a simple and seamless process. The Center for Diagnostic Imaging Miami is the leading and most credible diagnostic center of Miami, Florida, that serves the people of the community with an array of accurate, effective and advanced diagnostic medical imaging facilities, through seamless and hassle-free services.